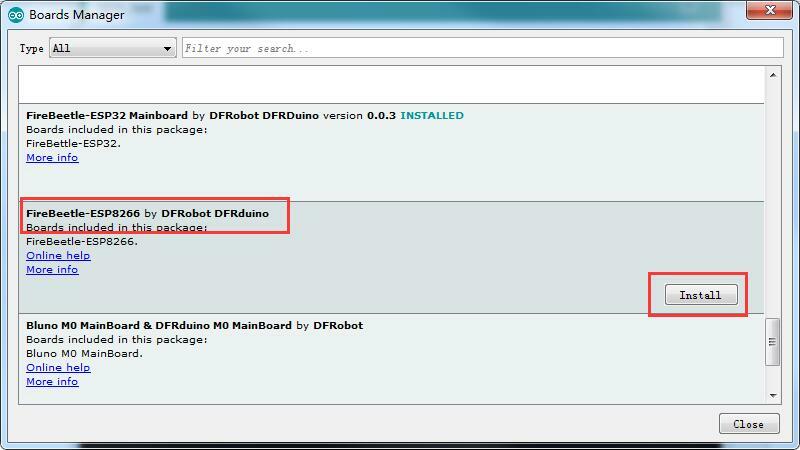 DFRobot FireBeetle is a series of low-power-consumption development hardware designed for Internet of Things (IoT). 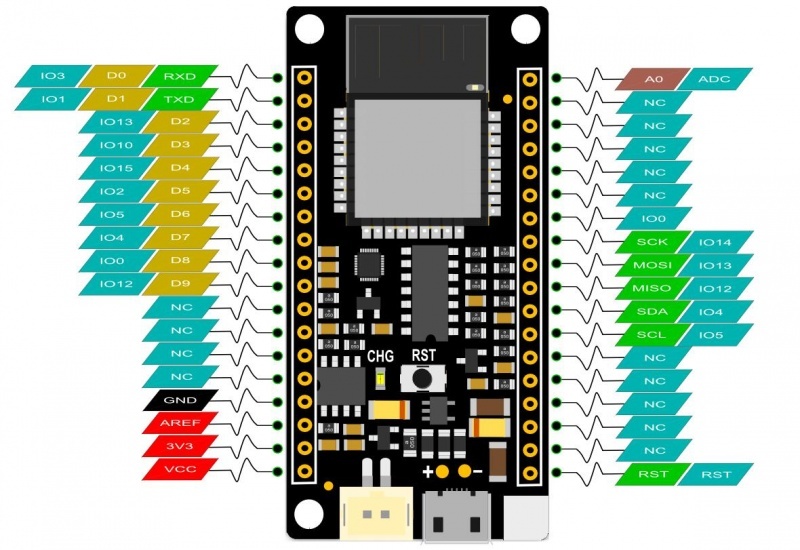 Firebeetle ESP8266 is a development board integrated with IoT WiFi, TCP/IP, 32-bit MCU, 10-bit ADC and multiple interfaces such as HSPI, UART, PWM, I2C and I2S. 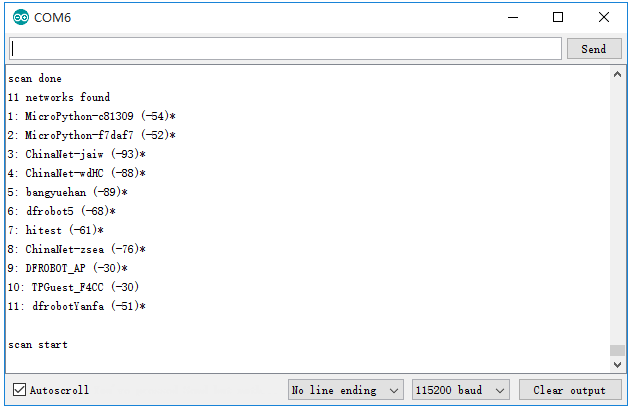 In DTIM10, the full power consumption to maintain WiFi connection reached to 1.2mW. Equipped with 16MB outer SPI flash memory, ESP8266 is available for programs and firmware storage. 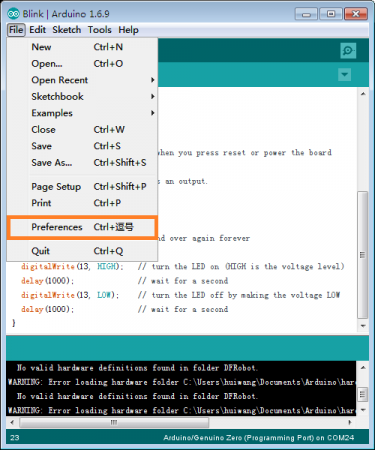 Compatible with Arduino programming enables Firebeetle ESP8266 to lower the barrier of programming. 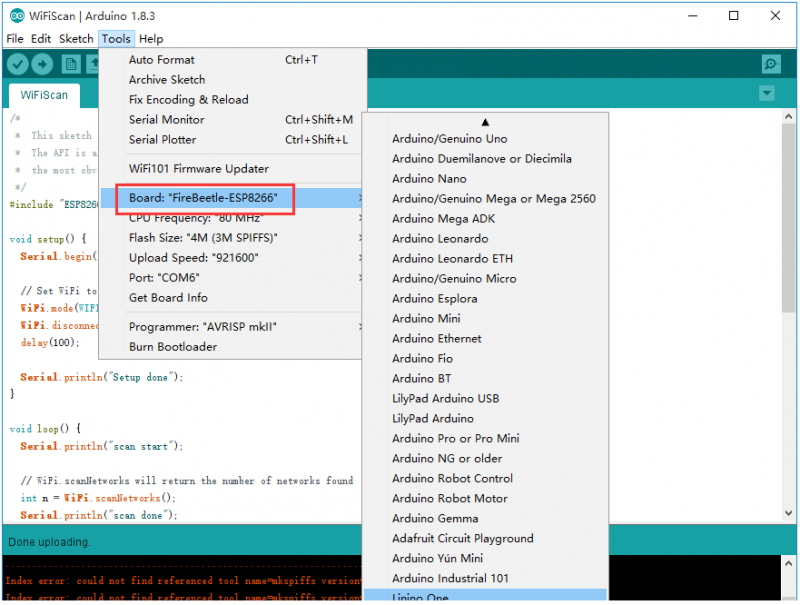 Operator can implement Arduino programming codes directly onto ESP8266 to reduce the difficulty of operating and increase the stability of board. 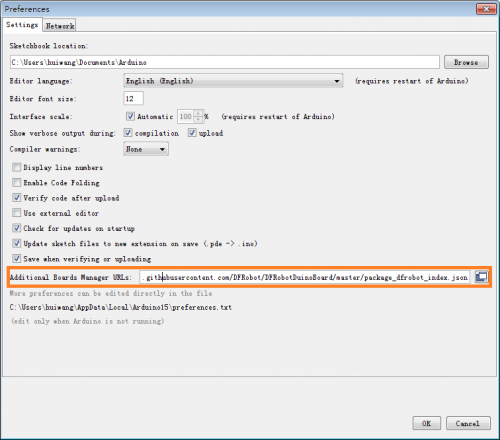 In this tutorial, we'll show you some basic operation with FireBeetle-ESP8266 Microcontroller. 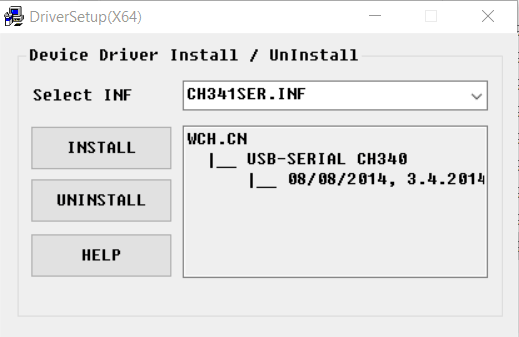 NOTE: CH340 driver is free to install for most of Windows OS, if you find there is no COM Port in Device Manager, please download the driver and install it. NOTE: ESP8266 has different pinmap in different development environment, For example: the LED connects IO2, which maps D5 in Arduino IDE It is totally different mean with 2 and D2 ! *  This sketch demonstrates how to scan WiFi networks. 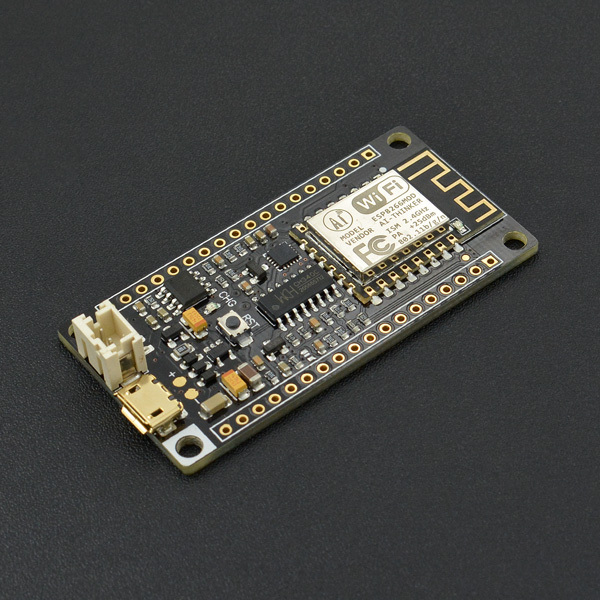 Get FireBeetle ESP8266 IOT Microcontroller from DFRobot Store or DFRobot Distributor.